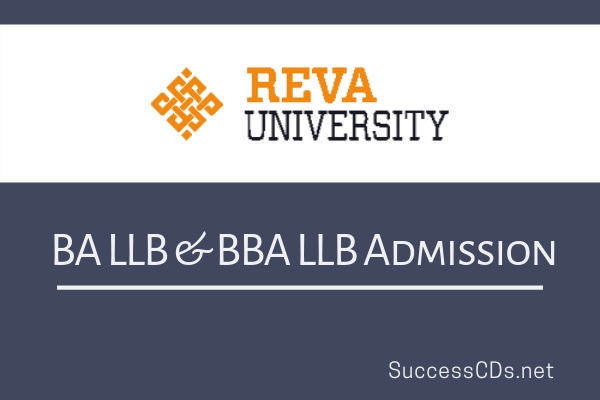 REVA University Integrated Law Admissions 2019 - Applications are invited from eligible candidates for admission to 5 year Integrated B.A LL.B and B.BA LL.B at school of Legal Studies, REVA University for the academic year 2019-20. Candidates who have obtained 10 + 2 or graduation / post graduation through Open Universities system directly without having any basic qualification for prosecuting such studies are not eligible for admission in the law courses (BA LL B Honours, BBA LL B Honours). Admission to the course is strictly based on the merit basis. All shortlisted applicants are required to appear for the admission selection process at REVA University. Application form is available both in online mode and direct mode. The application form can also be obtained from the office of admissions, REVA University. Payment can be made online through credit/debit cards or through net banking.